*NEW! * Listen to a clip from Public Radio! 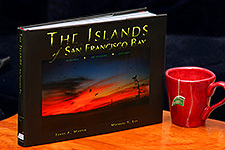 The Islands guys and the book on Eye on the Bay! Click here to see the two part series hosted by Brian Hackney.